The CHLPA has been a public entity for two months now, and according to early information has been organizing for longer then a year and a half prior to being announced on TJHN in August. With Major Junior Hockey seasons well under way, on the first of October, the CHLPA looks to still be in the organizational stages. TJHN has had many phone calls and emails regarding the fledgling organization, and although we would like to provide more information, there simply isn’t much to provide. Recently though an article was published in the Canadian Financial Post stating, "The fact that some of the CHL players are under the age of majority is not a critical legal issue. But the relative youth of the players in general could be an obstacle for organizers." Citing an interview with Carl Cunnigham management side labor partner in Bennett Jones LLP’s Toronto office. Clearly Mr. Cunningham has not worked in the United States, nor does he have an understanding of contract law in the United States. After extensive research on the subject of labor and contract law over the last few weeks, TJHN has learned that the CHLPA will indeed face a very tough battle when trying to organize an under legal age work force. In Michigan, any contract signed by a person under 18, unless they have been legally emancipated, can not be enforced. Michigan is home to two OHL teams. One attorney TJHN consulted went so far as to say the Standard Player Contract developed by the Canadian Hockey League, may not be enforceable in Michigan or the United States itself. Contracts obligating minors in Michigan are nearly always found to be unenforceable. This same attorney said that a good attorney could argue that the CHL contracts in Michigan could be voided and that parents can not obligate their childred to forego an NCAA education. A good attorney could potentially force a change in the who system, at least in the United States where minors would not be allowed to be obligated to the Major Junior System at all. He did also sya that this would take a lot of time and money but that the arguments are not that complicated, and the limited tradition of Major Junior Hockey in the United States would not be a political hurdle. The argument could easily be made that the contracts signed by Major Junior Players are not written to comport with local, state, and national laws in the United States. An argument could also be made that the CHL, its member leagues and teams could also be violating trade laws in the United States simply by doing business in the United States. 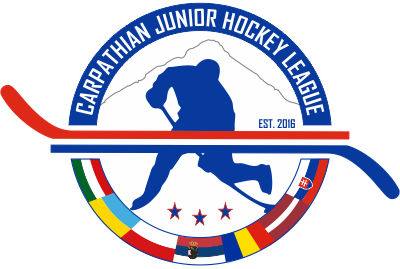 Are the Major Junior Leagues and the CHL organized as legal business entities in the States where they do business and in the United States? They do collect money in the United States and in the states in which teams reside. Are taxes being paid on that income? The Ontario Hockey League is not a registered business in Michigan. Since the OHL is not a legal entity in Michigan, and no record exists of it in the past, are the sales of OHL franchises in Michigan even legal? There is no Uniform Franchise Offering Circular filed with the State of Michigan, which is required by law. When franchise were sold in Michigan were taxes paid on those sales? Although those teams in Michigan have operated legally and professionaly throughout the years, is the basis on which they were developed even legal? Most likely if a legal challenge were brought in Michigan as to the legality of the OHL operating within the state, the court would rule that the state has accepted its operating based upon the passage of time is a ratification of their operations. The OHL teams in Michigan may attempt to enforce OHL contracts, but if they have not been written to comply with Michigan law they could be found unenforceable. If those contracts obligate under age players, those contracts if challenged could be nullified. Like the OHL, the CHLPA will face many of these same issues when dealing with players under the age of 18. Speaking to one representative from a major organized labor union last week, I was informed that hi union has specific rules that prohibit any person under the age of 18 from signing up with his particular union. Third parties, such as parents, are also not allowed to sign for or obligate a minor to a union membership, or the payment of union dues. Although the CHLPA may have contacted some labor experts in Pennsylvania, they seem to have over looked that in the United States, it is the States Rights in organizing labor and enforcement of laws that come firts, and not those of the federal government and international trade standards. 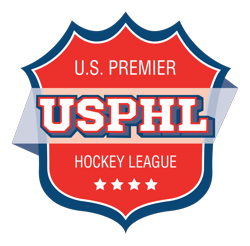 Although the CHLPA has said the the CHL contracts in the United States restrict trade and that could be the basis for a lawsuit, they first must recognize actions within the individual states in which the individual leagues and teams do business. A lawsuit at the federal level would only force each Major Junior League to write its own Standard Player Contract instead of using one written by the CHL offices. At that point lawsuits would need to be initiated in each state, and within each states individual jurisdictions. The only way to overcome this very big mess would be to have each league and team recognize the CHLPA on their own. This is unlikely to say the least.